“Sitting is the new smoking,” says South African physical therapist and entrepreneur Gary Arenson. He’s quoting an expression originally coined by researchers at the Mayo Clinic to describe the serious health risks – including heart disease, diabetes, arthritis and osteoporosis – connected with prolonged sitting, whether in front of the television or, in particular, at an office desk hunched over the computer. The data coming in is shocking. A study by the American Cancer Society which tracked 123,000 Americans over a 14-year period found that women who sat for 6 or more hours a day were 40 percent more likely to die within the study period compared with women who sat for less than 3 hours. For men it was “just” 20 percent more. Another study from the Kaiser Permanente HMO in California following 80,000 men aged 45 and above revealed that those who spent the most time sitting were more than twice as likely to develop heart disease as those who sat the least. Exercise doesn’t seem to reverse the effects, either. The dangers associated with excessive sitting have led increasing numbers of office workers to buy or build their own standing desks – raised platforms for their computer screens and keyboards. But standing only desks are quickly abandoned – workers get tired of being on their feet all day and go back to their original sitting situation. As a result, sitting-standing hybrid desks that can be raised or lowered with the flip of a switch and a quick tug have become increasingly popular. Some are entire standalone pieces of furniture; others sit on top of one’s existing desk. Now, the leading manufacturer of the hybrid approach, Varidesk, is making aliyah, courtesy of Arenson and his business partner Issy Zimmerman who have obtained the distribution rights to sell Varidesk in Israel. For Arenson and Zimmerman, it’s a kind of immigration by proxy. While both are staunch Zionists, they have built their professional and personal lives in South Africa and are staying put. “So, as a religious Jew, the opportunity to invest in Israel and at the same time do something incredible health-wise for the Israeli market really motivated me,” Arenson tells The Jerusalem Post. Arenson will also be selling Varidesk in South Africa, through his company Ergotherapy, which develops and sells its own line or ergonomic chairs and is built off of Arenson’s medical experience helping people with some serious aches and pains. Varidesk, whose motto is “Work elevated,” isn’t the first sitting-standing hybrid desk to enter the Israeli market, but it’s the easiest to use, which is a big selling point. The units – which come in a variety of sizes from 30 to 48 inches – come fully assembled. You just hoist them onto your desk and you’re ready to go. Each Varidesk unit has two tiers – one for your keyboard and another for the monitor. The design eliminates the need to place the screen on a pile of books or a ream of paper, although it’s not ideal for all-in-one computer systems like Apple’s iMac which has a built-in stand leading to neck strain. A smaller Varidesk version is designed for laptops. In all units, a simple quick release grip moves both tiers smoothly into one of a dozen positions in seconds. The desks are heavy – the 36-inch version we tried weighs 35 pounds – which makes them feel sturdy, an important quality (you don’t want to feel like your expensive computer could topple over at any second if you lean on the desk the wrong way). Another key is “balance,” Arenson says. You want to split your day half and half between sitting and standing. People who work mostly out of the office probably don’t need a sitting-standing desk. Not everyone will take to a Varidesk, Arenson concedes, which is why the company offers a 30-day trial with a money back guarantee. Since Arenson and Zimmerman aren’t relocating, their local representative, another South African Stanley Behrman, will be making house and office calls to make sure new Varidesk owners are comfortable and setting their desks at the right height. Offices with many workers will be able to get a few units to try out at no cost, giving employees a chance to test drive the sitting-standing experience, before deciding if they want their own. The first Israeli Varidesks are “on their way to port of Ashdod now,” Arenson says and he will keep with Varidesk’s U.S. policy of always having enough in stock so there’s never a waiting list. One thing that won’t be the same as the U.S. – the price. The starting price for a Varidesk in Israel is NIS 2,500. That’s at least 40 percent more than it would be in North America. There’s no way around it: the cost of shipping, VAT and customs all take their toll. “It’s the same price we sell them for in South Africa,” Arenson says, trying to blunt the sticker shock. And it’s less than the NIS 3,400 starting price for competitor Ergotron’s Workfit, which is currently the leader in the Israeli market. Is Arenson worried that Israelis will balk at the price? Not at all, he says. In fact he expects typical Israeli negotiation. “We’ll need to work hard to substantiate both our product and our price point.” That said, there will certainly be volume discounts for offices buying more than one Varidesk at once. Standing desks are gaining popularity in the U.S. and Europe, particularly in Scandinavia. Slingsby, a U.K.-based workplace equipment provider, estimated that 80 percent of office workers in Denmark, Sweden, Norway and Finland now have adjustable desks. Standing desks have a couple more advantages – both somewhat surprising. People who suffer from ADHD have reported that they find it easier to focus while standing than sitting, Arenson says. And if you stand a few hours every day while you power through those PowerPoint presentations, you’ll burn an extra 600-700 calories a week, Arenson says. It may not be enough to quit the gym, but it’s still a nice bonus to the already demonstrated health benefits of getting off your tush while you work. I originally wrote about Varidesk for The Jerusalem Post. At the opening of equity crowdfunding platform OurCrowd’s second annual investor’s summit in Jerusalem last week, CEO Jon Medved told the 2,000 assembled attendees that military software maker mPrest had just raised $20 million through OurCrowd, the largest investment ever via crowdfunding and a significant Series A round for mPrest, which built the “command and control” component to Israel’s Iron Dome system. mPrest will use the new round to bring its software into the burgeoning “Internet of Things” arena – to control not just missile systems but everything from the electrical utility grid to home appliances. mPrest was just one of dozens of startups to present at the conference. The Jerusalem Post takes a look at some of the most exciting companies who braved last week’s snowy weather to take to the stage. When Israeli startup Consumer Physics demo’d at last year’s OurCrowd Summit, the Apple Watch, with its tiny sensors to measure all manner of changes in the physical world, had just been announced. That made Consumer Physics’ sales pitch that much easier: the company wants to put its SCiO molecular scanner into the next version of the iPhone or Apple Watch. The SCiO scanner uses light waves to analyze the chemical properties of everything from food to pharmaceuticals, then matches the results with an online database. Want to know what’s in that bag of Bamba or whether a certain pill is what its manufacturer claims it to be? Now you can. CEO Dror Sharon showed off the latest SCiO scanner – it’s the size of a smart phone camera. Speaking of cameras, Core Photonics aims to vastly improve the quality of the photos you take with your smart phone, inching ever closer to much more expensive DLSR cameras. Core Photonics’ technology is complex, combining “computational photography” and “magnetic reluctance actuators,” but the bottom line is that the demo shown by CEO Eran Kali was so far beyond what an iPhone 6S can take today as to remind one of the difference between VHS and Blue-ray in video. Kali says we can expect to see Core Photonics integrated into phones in 2018. Your phone is only good if you can find it. If you’re prone to misplacing items, Pixie has got your covered. Pixie makes a small plastic tracking tag that you attach to your keys, your luggage, even your child. Pixie’s smart phone app then guides you to the missing item using arrows, audio feedback and even an augmented reality view that superimposes where you’ve left your wallet onto a moving image of your living room. “Other solutions just tell you, it’s on the left side of the room, good luck,” Pixie’s Amir Bassan-Eskenazi told the room to applause. The Pixie Point goes for $17.50 each (in packs of four), with the price dropping “to single digits” by 2017. VocalZoom demonstated how its revolutionary noise filtering technology might work in a car. On stage with Honda, which announced its entrance into Israel’s tech market at the conference, VocalZoom CEO Tal Bakish compared the remarkable difference in sound quality from a speakerphone with and without VocalZoom’s voice recognition system, which uses lasers to detect vibrations from the speaker’s vocal cords. Bakish says it works even while riding a motorcycle. VocalZoom should begin rolling with Honda and other car manufacturers by 2018. In addition to Coca-Cola’s iconic Bnei Brak bottling plant, the company also runs a hi-tech operation in Israel – an accelerator called The Bridge. One of the companies that has been through the six month program is Cimagine which allows shoppers to place a 3D picture of a piece of furniture from a Cimagine-enabled website into an “augmented reality” version of, say, your living room so you can see how it will look before you take it home. What does that have to do with Coke? As Cimagine’s CEO Nir Daube demonstrated, Coke can use it to show movie theaters and restaurants how Coca-Cola vending machines and tables with Coke branded umbrellas will appear there – without having to lug the equipment itself. Jerusalem-based serial entrepreneur Bob Rosenschein is best known for Answers.com, the company he founded and subsequently sold in 2011 for $127 million. Answers.com let users ask questions and receive answers from the crowd. Curiyo does more or less the same thing with a twist: you don’t have to leave the website you’re on to get the information you seek. There’s no user download required; Curiyo allows users to click or tap on a word and the information pops up in an overlay window. With Curiyo being served up on 3.75 million page views a day already – USA Today is a client – Rosenschein’s third startup may have the real answers. In 2012, Zula came up with a great app to consolidate all of a team’s communications in one place – emails, files, video, audio. Then along came Slack, a nearly identical product that caught on like wildfire and it was “game over” for Zula, explained the company’s chief marketing officer Hilel Fuld. Zula had raised $4 million – enough money to keep going – but no longer had a market. But one component of its product suite had legs enough to stand on its own. 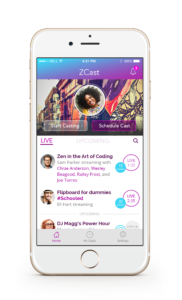 Nine months later, ZCast was born – an iPhone app for instant podcasting. More than that, when you start your live “groupcast,” you can invite friends to join you, creating an on-the-fly talk radio show that anyone with a Twitter account can listen to. If instant podcasting seems like fun, making it easier to move freight from door to ship to door sounds like the polar opposite. But in the deadly dull, Zvi Schreiber saw opportunity. His startup, Freightos, addresses a problem that anyone who has ever made aliyah has encountered: while you can book a plane ticket online in seconds, it takes an average of 91 hours to get a quote for sending a container from one country to another. That’s because, when Freightos got started, some 90 percent of the systems to manage freight were handled by Excel spreadsheets and the occasional email. So in order to build what Schreiber calls the “Kayak for international freight,” with transparency, speed and fixed prices, he first had to work with the freight forwarders to put software in place to automate the quotation process. The company is four years into its mission and has raised an impressive $23 million to date. 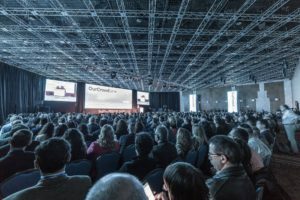 In conjunction with the OurCrowd Summit last week, a new hi-tech accelerator entered the Israeli market but, unlike similar programs that are mostly based in Tel Aviv, this one will be in Jerusalem. Boston’s MassChallenge takes the Y Combinator model of putting startups through a four-month boot camp of mentoring and networking and takes away the profit angle…for MassChallenge that is. “We are the most startup friendly accelerator out there,” explained founder John Harthorne during a lavish launch party at Jerusalem’s First Station. “We take no equity and no percentage of revenue.” The non-profit MassChallenge aims to run 100 startups through its program in the first two years and is open to anyone with a good idea – you don’t even have to be from Israel. Leading companies compete for prize of NIS 1 million. Israel’s capital has seen a startup surge in recent years, with approximately 120 new startups opening every year. MassChallenge aims to double that. OurCrowd and other investors will be watching closely, looking for investment opportunities when each MassChallenge cohort graduates. If even a few of these companies stay in Jerusalem, it could have a deep impact on the city’s hi-tech ecosystem. This article was the cover story in The Jerusalem Post Magazine on Friday, September 25, 2015. Indian Pastor Samuel Devasahayam of the Zion Gospel Church was devastated: his elder sister Sheela, a Mother Theresa-like figure who had devoted her life to serving those in need – had passed away at the age of 60 and the entire city of Erode – close to 7,000 people – had had come out for the funeral. All 3,000 of Samuel’s own community were in attendance as well and the pastor knew he had to deliver the sermon of his life. Standing before them, on an already hot and humid Indian day in April 2011, tears welling up in his eyes, he held the microphone tightly in his hands and shared stories of sister Sheela’s devotion; how she never married or had children but cared for the community’s widows and orphans and secretly delivered rice to 100 needy families every day. Sheela represented everything that was good about this close-knit Christian community, Samuel said. And then, as a seeming non sequitur to the assembled mourners, he dropped an unexpected bombshell, one that had been welling up inside him for nearly ten years. Samuel’s congregants from the Zion Gospel Church were stunned. What was their pastor implying? Was it just that their day of rest was wrong? Or was he suggesting something bigger about God and their religious faith as a whole? No, he must be speaking out of his sorrow, the people concluded. But Samuel, 51, knew exactly what he was saying. Since 2001, Samuel, his wife Anne, Samuel’s two sisters and the Devasahayam’s children had all been living a secret Jewish life, keeping the laws of the Torah to the best of their limited knowledge at the time. Samuel had come to the conclusion that Judaism was the true path to God and the family had begun keeping Shabbat, the Jewish holidays, and kashrut secretly. But he was too fearful to reveal his inner truth, concerned about the fallout, both personally and for his community. And indeed, there was fallout. After the funeral was over and in the months to come, congregants approached Samuel to ask more questions. “’What do you mean by that, Pastor,’ the people would ask,” Samuel’s wife Anne recalls. “’Do you mean that Jesus is not God, Pastor?’ And he would answer yes. ‘And do you mean we should keep the Sabbath on Saturday too?’ Yes, he would say. Eventually the people agreed. Well half did; 1,500 congregants left the church. Those who remained said, “We have known you for many years, we know your character, we see how you are with the people. So whatever you say, it must be true,” Anna continues. The church was renamed the Zion Torah Center, mezuzot were affixed to members’ doorposts, a Torah scroll was imported, and Stars of David appeared throughout the new “Zion” neighborhood which Samuel and Anne set up after some Christians in Erode – which is known locally as “Turmeric City” – refused to continue renting to members of the Zion Torah Center. Today the community comes together every Shabbat where Samuel leads them in a full prayer service that would be familiar to Jews anywhere else in the world. The men wear white shirts and kippot, the women sit on the floor in long white dresses and saris with their hair covered. There is Kiddush (with Samuel’s own “kosher” wine) afterward, and the community is well versed in traditional Shabbat zemirot (songs). The adult men even took it upon themselves to get circumcised. (Their children have it easier, with a version of a brit mila at eight months. “The doctors are afraid to do it on the eighth day,” Anne explains.) Samuel and Anne send out a weekly SMS with the times for Shabbat candle lighting and havdalah at the day’s conclusion. At least one community member – Samuel and Anne’s son – wears Tefillin during weekday prayers. A giant sukka is built on the roof to celebrate the fall holiday. The community’s long-term goal: to convert to Judaism fully and perhaps even make aliyah to Israel. How did this remarkable community, located far inland, an eight hour twisting turning ride from Cochin deep in the Indian state of Tamil Nadu, turn to a Jewish lifestyle? The story begins with Samuel’s father, a pastor himself, who in 1972 founded the church along with a club called Friends of Israel. The church was fervently Zionist from the start, with daily prayers on behalf of the State of Israel and fasting whenever Jews were in danger (for example, during the Entebbe hostage crisis or the trials of Prisoners of Zion in the USSR). The church focused almost exclusively on the Hebrew Bible rather than the New Testament. Samuel describes his father as a “strict disciplinarian. He’d tell me if I don’t memorize the Ten Commandments, he wouldn’t give me any food. He wouldn’t let me watch TV or read the newspaper – he said it would ‘spoil me’ – but he’d cut out clippings about Israel and put them in my lunchbox.” When Samuel’s mother wanted to send him to a Christian bible school at age 12, his father said no. “If you want to understand the bible, you have to wear ‘Jewish spectacles,’ my father would insist,” Samuel says. Samuel and Anne were quick to take on the custom for themselves. Their children are named Moshe, Jerusha (from Jerusalem) and Rivka, who was born on November 26, the same day that Chabad emissary to Mumbai Rivka Holzberg was murdered in that city’s horrific 2008 terror attack. “We wrote to Chabad and they were very happy that there was a little Indian girl named after their Rivka,” Anne says. 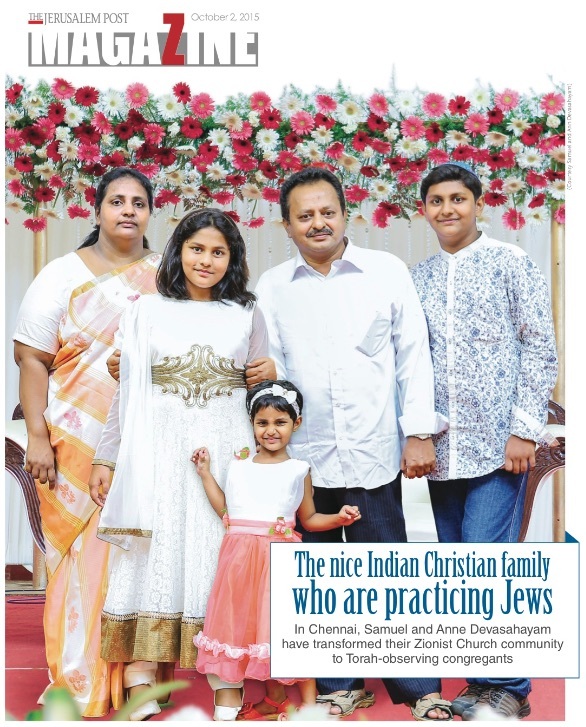 One reason the Zion Torah Center community took to Jewish practice so quickly, Samuel says, is that nearly 60 percent of them were already keeping “some kind of Jewish ritual” as members of the Chettiar caste. A mercantile caste in southern India, the Chettiars have a number of “Jewish” customs, Samuel explains. “They light candles on Friday night and keep a kind of Shabbat. On Friday afternoons they wash the whole house. On Hanukah, they light clay oil lamps. When a woman niddah [that is, she has her period], she sits in a different part of the house, outside under a portico, for seven days and must take a bath in the well before re-entering the home. Teenage Chettiar boys go through a rite of passage into manhood that includes donning a shawl and “sacred thread” before proceeding to conduct a festive ceremony at the local temple..
A year ago an archaeologist working in Chennai found Jewish graves inside a Chettiar cemetery, Samuel adds. 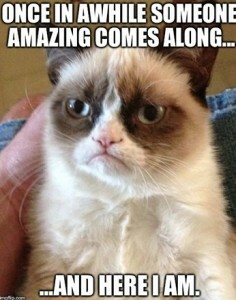 “That’s just not possible! Cemeteries in India are strictly divided according to caste.” He speculates that, as businessmen and travelers, the Chettiars may have had closer links with other Jewish Indians and adopted some of their customs over time. He isn’t suggesting that the Chettiars have actual Jewish ancestry. When Samuel made his bombshell announcement at his sister’s funeral, there was another prompt: his son Moshe was approaching the age when it was expected he’d be baptized. But Moshe was increasingly uncomfortable. He finally blurted out to his father, “Abba, I can’t be baptized. I’m Jewish!” That gave Samuel the courage to finally reveal his truth. Samuel’s dream for the future of his community is to make mass aliyah…to Israel’s Negev desert. He cites Isaiah’s prophesy (Isaiah 35:1) that the children of Israel would help make the desert bloom. He knows that Israelis have been doing just that for decades. “Still, there’s a lot of desert area, so let our community be part of the dream,” he implores. There’s only one problem: Erode is not a farming community. “We are mostly textile workers, doctors, engineers,” Samuel concedes. So the Devasahayams purchased 100 acres of land and planted 3,500 coconut trees. “Every month, we invite people from the community to come and work in our farm, to get hands on experience with agriculture, to be ready to work in the Negev,” Samuel explains. And just to be extra prepared, the farm is watered by Israeli-made drip irrigation. The coconut farm is part of Samuel and Anne’s income, which also includes running a local printing press. A Jewish calendar with all the holidays – written in Tamil – is one of their prized products. Samuel also prints small booklets for every Jewish festival, including their own Passover Haggadah. Their son Moshe serves as book designer and editor. Several hundred copies of each have been printed. Samuel and Anne are under no illusions that converting to Judaism, let alone immigrating to Israel, will be easy. The members of the Zion Torah Center have no formal Jewish roots. They are not in the same category as the Bnei Menashe, the Indian tribe that claims descent from one of the Ten Lost Tribes, but are rather more like Uganda’s Abayudaya, whose Christian leader Semei Kakungulu adopted Judaism in 1919. Michael Freund, the chairman of Shavei Israel, a non-profit organization which works with “lost” tribes and “hidden” Jewish communities around the world, including India’s Bnei Menashe, has met with the Devashayams several times during their visits to Israel. They have invited him to visit Erode later this year. 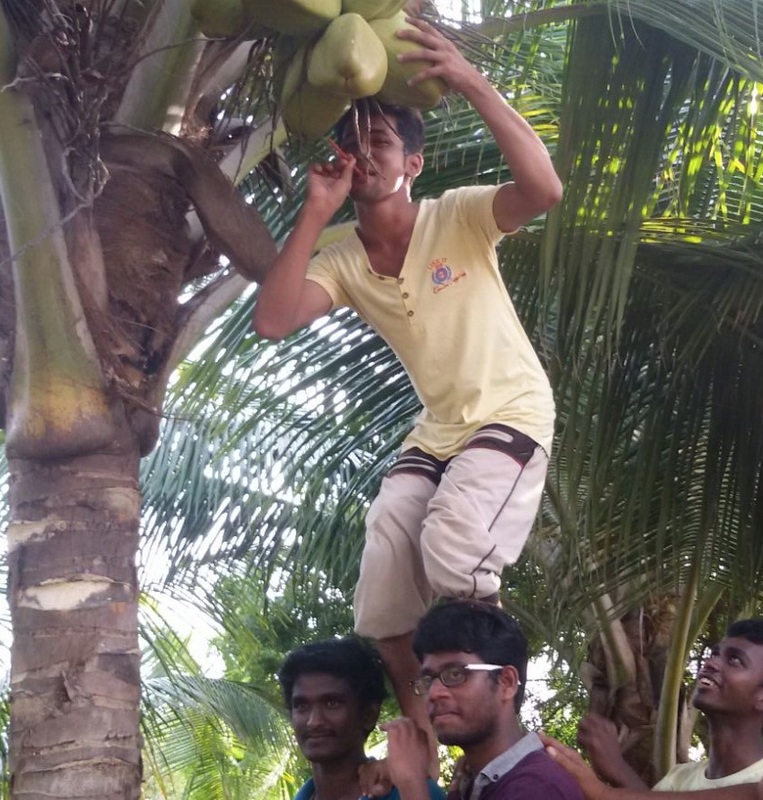 India in general moves at a slower pace than the frenetic West, but there is one clock that’s ticking fast in the Devasahayam household: 15-year-old Moshe is considering his options in the next few years. “More than anything, he wants to learn in an Israeli yeshiva,” Anne says. Will it be possible? 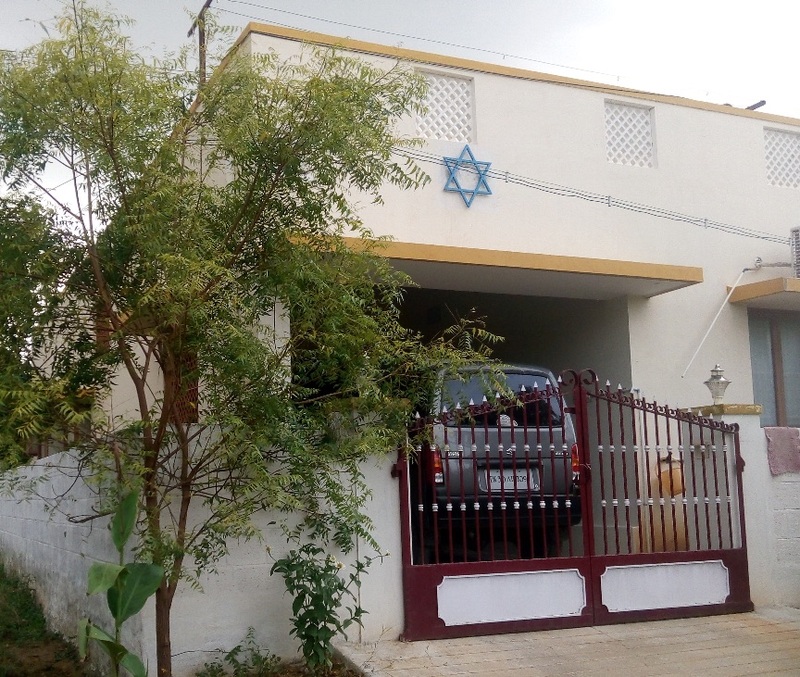 More improbable things have happened in the small town of Erode, with its ever-present Jewish Stars and the sound of Hebrew mixed with Tamil on a muggy Saturday morning. 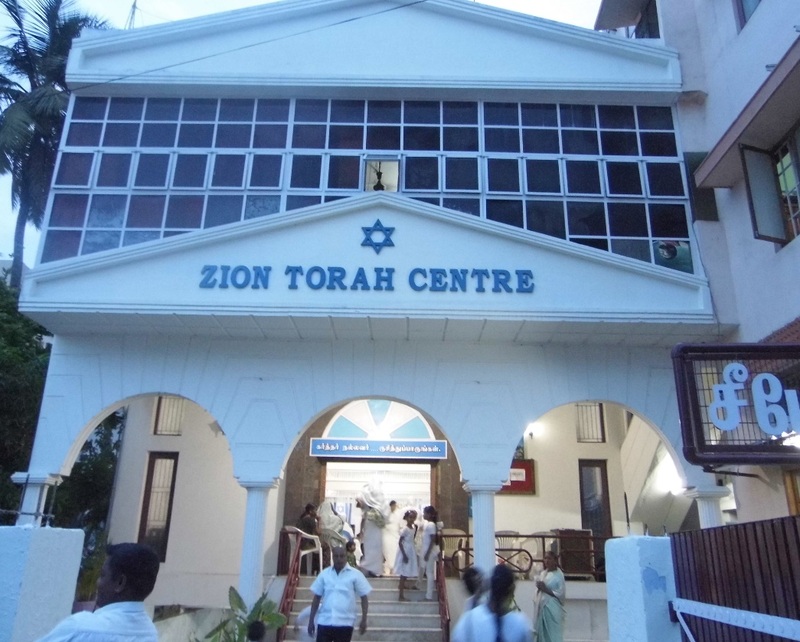 Erode’s Zion Torah Center is not the only community in India without formal Jewish roots that is eager to join the Jewish people. Some 750 kilometers to the north, in the Indian state of Andra Pradesh, 120 families call themselves the Bnei Ephraim, claiming descent from the biblical tribe of Ephraim, one of Joseph’s two sons. Like the Zion Torah Center community, the Bnei Ephraim was founded by a Christian preacher. Pastor Shmuel Yacobi was living in the small village of Kottareddipalem when he visited Israel as a tourist in the early 1980s and became convinced that his ancestors were actually Jews who, after being exiled from the Land of Israel, traveled through Afghanistan and northern India before settling in an area called Nandial. Known locally as Telegu Jews, Yacobi says that the Bnei Ephraim always had certain mysterious customs that can be found in Judaism, including burial, marriage, coming of age (bar mitzvah) and family purity laws. Shavei Israel has helped the Bnei Ephraim as well, sending teachers to India, arranging for members of the community to visit Israel, and translating books about Jewish practice into the Telugu language. The Bnei Ephraim today keep Shabbat and kashrut and take off from work on major Jewish holidays. Several small synagogues have been established. Moreover, Shmuel Yacobi’s son Yehoshua managed to immigrate to Israel in 1993, where he served in the IDF and worked at the Hebrew University library. He lives in Ramat Gan today. As Rafael stood before the juvenile court judge, he was given a stark choice: either join one of Israel’s heavily supervised “youth villages” for teenagers at risk…or go straight to jail. Lachan operates three youth villages for troubled young adults, from ages 12-18, in the north, center and south of Israel, as well as a program for college students. The organization was founded by Yoni Riskin and Avichai Yosef in 2001. 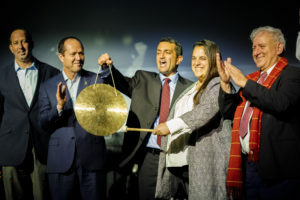 Riskin is no stranger to social entrepreneurship; his father, Rabbi Shlomo Riskin, was one of the founders of the town of Efrat and Lachan got its start in the community, taking over a couple of broken down and unused caravans to create an alternative educational program for troubled teens. For Rafafel, the three years he spent living at Lachan’s “Yedidut” youth village on a quiet moshav near the city of Lod were nothing short of transformative. Today he is off drugs, out of jail and volunteering as a counselor for similar at-risk kids while waiting to enlist in an elite unit of the Israel Defense Forces. Entering the army is an achievement on its own: for teens with a criminal record, the IDF essentially prevents them from signing up and receiving all the significant social and financial benefits that military service in Israel provides. When he finished his IDF service, Riskin trained to become a counselor with a program that helps teens at risk in one of Jerusalem’s poorer neighborhoods. His childhood friend, Avichai Yosef, now 38 as well, was similarly engaged in non-formal education as the project director of a prestigious pre-army academy. The two decided to join forces and opened the first incarnation of Lachan. “At the beginning, we didn’t have a shekel,” Yosef says. “We just had a dream and a group of kids that had nowhere else to go.” Riskin and Yosef shnorred a table here and a chair there, and assembled a team of volunteers to tutor students in math, Bible, English, Hebrew grammar and history. What started as classes three days a week quickly morphed into a full-time, live-in program. The caravans were converted to dormitories. “We realized that, in order to straighten these kids out, we needed to not only change their days but their nights too. You can’t get kids to come in the mornings if they’re out all night getting into trouble. But if they’re with us, it’s lights out at 11:00 PM and up at 7:00 AM,” Riskin says. After its initial years in Efrat, Lachan continued to grow and, in 2007, moved to a more spacious location at Kibbutz Ein Tsurim. Before long, Lachan was on the road again, this time, renovating a former psychiatric facility for children into a fully equipped youth village, adding classrooms, dormitories, offices and communal spaces. With additional funding from Rabbi Yechiel Ekstein’s International Fellowship of Christian and Jews Federation, Lachan invested nearly $200,000 into renovating the village and the organization’s “Yedidut” campus became operational. Today, 24 teens between the ages of 14-18 study and live there. It was at this point, in 2009, that the Israeli Ministry of Social Welfare recognized the Lachan program and began to fund a portion of its activities. The Education Ministry also granted accreditation to the Lachan high school within the “Yedidut” campus. In conjunction with financial support, the ministry began sending to Lachan teenagers who were referred by the courts as part of the Youth Protection Authority, putting their trust in Lachan to handle students at the highest risk. It was a real eye opener for Riskin and Yosef. If the teens were tough in Lachan’s first years, these new arrivals were on an entirely different level, coming from severe backgrounds of neglect, lack of parents at home, endemic violence, drug addiction, sexual abuse and trauma. They hailed from some of the lowest socioeconomic classes in the country. Today, 90 percent of Lachan students come to the program after an arrest. Lachan brought on new social workers and therapists to cope with the changes, and developed special classes including art therapy; sports and martial arts; gardening; photography; and army fitness and survival training, the latter in cooperation with the “Acharei!” (Follow Me!) Association. A computer lab was opened as well as a training and employment center, which offers several vocational courses including one in professional hairdressing. “If we see that a kid has a certain interest, we’ll do everything we can to make it happen,” Yosef says. Lachan’s overarching emphasis combines Jewish values, social pluralism and contribution to society in general, and to the community in particular. While Lachan started in the religious community of Efrat, today it takes students of all backgrounds, from entirely secular to strictly Orthodox. As Lachan “Yedidut” was opening, the organization got tapped by the Ministry of Social Welfare a second time to start a youth village in the north of the country, between the cities of Hadera and Afula. Lachan’s “Tal Menashe” youth village is for a younger population, starting at age 12 and going through age 15, and can take up to 36 children. 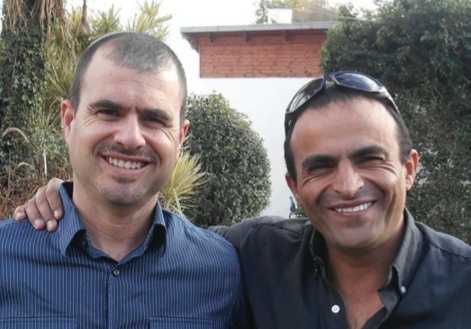 In late 2013, Lachan added a third youth village campus in the Negev desert, fulfilling a pledge Riskin and Yosef made early on to bring Lachan’s approach to youth wherever they are in the country. Dubbed “Wings of Love,” this southern-most village got its start helping kids deal with their problems by caring for birds. The focus has since shifted to include agricultural work with animals, but the name has remained. In addition to the “usual” at risk issues Lachan students come with, the students at “Wings” have also suffered trauma from the years of missiles raining down from the nearby Gaza Strip. All told, Lachan now employs some 90 paid staff (gone are the days when the organization operated with just volunteers) with an annual budget of more than $3.2 million. The government covers 75 percent of that, but for extracurricular activities, renovations, overtime (there are no vacation days at Lachan; that means 150 percent overtime for staff on holidays like Yom Kippur), scholarships and specialized healthcare, Lachan is on its own to cover the gap and must seek outside contributions. Last year, Riskin and Yosef personally stepped in for six to twelve months each to fill the roles of directors of the “Yedidut” and Tal Menashe youth villages. “These kids need surveillance 24/7,” Yosef says. “We had one student who was a professional burglar before he came to us. He broke into our offices and stole money and cell phones.” But Lachan stuck with him and today that young man is a high school graduate on his way to the army. Another former student found that art spoke to him; today, through Lachan, he finished his high school matriculation exams and is now studying for his bachelor’s degree at Jerusalem’s prestigious Bezalel Academy of Art and Design. “Lachan’s ultimate goal is to transform youth at risk into ‘normative’ members of society,” Riskin says. Beyond working with teens, Lachan also operates a program called “Migdalim” for college students who want to volunteer in a community. Although the program is not specifically for at-risk students, the vision is that this will allow Lachan graduates to continue within a therapeutic framework after the army. The program grants a full scholarship to its 30 participants. Some 560 young people have taken part in activities organized by the Migdalim students. Lachan has clearly come a long way from the caravans in which it started over a decade ago. But buildings and staff are only a means to an end. It is Lachan’s graduates, like Rafael, who tell the real story. Rafael, who once was on the verge of prison, today is tutoring elementary school kids with learning disabilities in one of the harshest neighborhoods of Beersheva in the mornings, and spending his afternoons volunteering in a clubhouse for teens. He is also volunteering with the “Acharei!” program through connections he made while at Lachan. Recent changes to Facebook’s news feed algorithm mean that organizations and companies developing and publishing their own original content are now receiving a significant boost on the leading social media site. Two weeks ago, Varun Kacholia and Minwen Ji, engineering and software managers at Facebook, respectively, posted in the Facebook Newsroom that “we are now paying closer attention to what makes for high quality content…what this means is that you may start to notice links to articles a little more often (particularly on mobile). Why are we doing this? 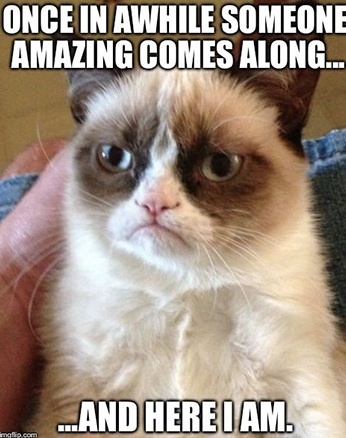 Our surveys show that on average people prefer links to [these kinds of] articles…to the latest meme” about dancing cats or photos marked up with funny captions (as in the example to the left). Facebook’s move is not a surprise. Traffic from Facebook to news sites tripled in the past year. Facebook is being increasingly used as a news source (much as Twitter has also evolved). So why shouldn’t Facebook’s algorithm promote original news articles? Facebook hasn’t revealed the secret formula for how it will recognize “high quality content” but the Kacholia and Ji’s promise is clear: uninformative over-shared links and tired memes will be demoted. All of this is great news for Blum Interactive Media clients that have engaged us to create original content to publish on their websites, Facebook pages, email newsletters and other social sharing services. Original content already ranked high in Google’s organic listings; now Facebook is joining the party. Take a look at the home page from one of our clients, Shavei Israel: they treat their website as a mini-newspaper, publishing 2-3 original stories (which we write) every week. The result has been dramatic – on Facebook alone, Shavei Israel and its related pages now have more than 60,000 “likes” and web traffic is up as well. There’s a sidebar take away here too: trying to create “viral” material online just got harder…and easier. You can spend less time over-thinking and crazy planning what you hope will become the next mega-video hit. Instead, write the best quality content and the social networks will help you out on their own terms. 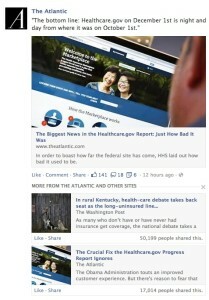 Facebook will also be showing “related articles” directly below the news feed post. Although you can’t control which articles will appear, our experience using similar products on our own websites indicates that at least some of the time, these will be articles that your organization or company has published. The more content you have out there, the more likely it will appear in this new Facebook section. See the example from Facebook on the right. If you’re thinking about how to get going with your own original content strategy, keep in mind that it’s not a one-time thing. To stand out on Facebook, Google – really, anywhere online – your organization or company needs a regular stream of innovative articles and multimedia material. The aim is to turn your website and social media presence into a destination; a trusted source of compelling content that make readers want to come back – to subscribe to your newsletter, to like your Facebook page, and to share and forward what they receive. Now more than ever, you can’t do this with a couple of lines and a cute picture in a blog post here or a press release there. You need to publish new material on a continuing basis. As your content appears more frequently in your followers’ news feeds and in search engine results, your supporters will know who and what you are about, so that when it’s time to ask for donations, or to sell a new product, they’ll already be primed. When Maayan Cohen’s partner was diagnosed with a cancerous brain tumor, she was suddenly thrust into a world of specialists, tests, recommendations and paperwork. It was overwhelming for the then 25-year-old Tel Aviv University biochemistry graduate, who was working as a senior analyst at Tel Aviv Strategic Consulting. Midway through what would stretch into a two-year ordeal, Cohen realized there might be a better way of managing the process. Patients can then easily call up the right records and never succumb to what Cohen says is the case manager’s greatest nightmare: missing the one document your doctor needs to decide on the spot if you should go for more chemo, surgery or an alternative treatment … and your few minutes of precious face time are up and it’s on to the next patient. The idea of patients carrying their medical records with them in electronic form is nothing new. More than a decade ago, technologies putting patient data on a chip embedded into their HMO card or on a USB thumb drive abounded, but they never gained traction. Cohen isn’t surprised. There are several ways to get records into Hello Doctor. You can use the camera in your iPad to take a picture of a document. Or, if it’s already on your computer, you can copy it to Hello Doctor using the Dropbox file transfer application. Exporting test results directly from an HMO’s patient portal is in the pipeline. Another feature, which Hello Doctor users have requested that’s also in development, is the ability to take notes using the app. “It’s our most requested feature,” Cohen says. The idea is to allow patients to write down questions about a test result or medication dosage, for example, right on the appropriate electronic record. Once data is input into Hello Doctor, it’s stored locally on the patient’s iPad. “In another two months, we’ll release a version that will back up that information on the cloud and that will synch it to another device, such as the patient’s iPhone,” Cohen says. All data will be transferred using the industry-standard SSL security protocol. The backup and synchronization is key. If your iPad is stolen, your data is gone (just as if you lose your physical paperwork). Once the synch is in place, users will be able to instruct Hello Doctor to delete all the data from their mobile device via a Web interface. The app always requires a password, in order to keep your records as private as possible. Still, some data does get sent beyond your iPad and the cloud. That forms the basis of the company’s business model. In the same way that Google scans your Gmail messages for keywords to serve up ads, Hello Doctor will look through your records (“anonymously and aggregated,” Cohen insists) to check on how a patient is responding to specific treatments – for example, is a particular medication causing nausea or vomiting? Hello Doctor will then sell that data to pharmaceutical companies “so they can make better decisions about future drug development,” Cohen says. This is par for the course in the Internet age. Facebook is free because it owns your data and can provide it in the same non-identifiable way to advertisers. Hello Doctor’s success will hinge, in part, on whether users find enough value in the app to ignore any concerns about what’s being done with their records behind the scenes. Cohen started Hello Doctor with two Israeli co-founders, Eran Keisar and Ziv Meltzer. The company has a staff of eight and works in Tel Aviv. Hello Doctor competes most directly with Microsoft’s HealthVault, which is available for the Web and tablet devices, including the iPhone. A variety of other mobile apps allow you to input emergency information such as your allergies, which vaccinations you’ve taken and emergency contacts, but don’t sport the broader vision Cohen and her team have for Hello Doctor. As for Cohen’s partner, there’s good news at the end of this story: After multiple surgeries and rounds of radiation and chemotherapy, he is now “100% cancer free,” Cohen says. This article appeared originally on Israel21c. Tomer Neu-Ner was driving home from the hospital with his wife and newborn son. As always, parking was tight near Neu-Ner’s central Tel Aviv apartment. “I was a nervous new father,” he says. “I didn’t want to leave my baby in the car more than even a minute longer than I had to.” So he stopped the car briefly on the sidewalk, ran upstairs, got his family settled and returned to his vehicle only to find … a NIS 500 ticket on the windshield. That wasn’t the only time Neu-Ner has battled the parking gods who have decreed that the average Tel Aviv resident will spend 24 minutes on average looking for a parking spot. But it was the wakeup call that, if Neu-Ner’s new startup Parko succeeds, will transform life for curb-deprived drivers everywhere. 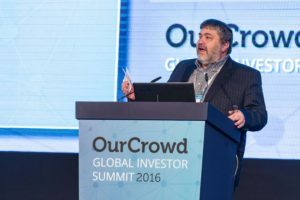 Investors seem to agree: the new Israeli “crowd-funding” site OurCrowd recently invested in the company. Neu-Ner teamed up with his cousin Itai David, a Technion graduate whom he describes as an “algorithm geek.” Together they created a smartphone app that almost magically senses when a parking spot will become available – even before the car’s driver opens the door. The technology is based on the same principles that have made fellow Israeli tech startup Waze such a darling of the roads, but there is no connection between the companies. Waze informs drivers where traffic is heavy and suggests alternative routes, all without requiring any active input by users. The app uses GPS to sense when cars with the open app are slowing down and from there it extrapolates that data into traffic alerts. Parko also uses GPS to sense the user’s speed. Once the vehicle has stopped and the speed at which the phone is moving has slowed to a comfortable “walking pace,” Parko assumes the user has parked. When Parko senses the user returning in the direction of the parked car, the app sends a message to other users that a spot may soon open up. Neu-Ner and David built the app so that it minimizes access to the phone’s GPS, a critical feature given how quickly location service usage drains a mobile device’s battery. Parko is not alone in the parking alert business. The elephant in the room, as it so often is, is Google, whose OpenSpot app for Android phones does much the same thing as Parko with one pachyderm-sized difference: OpenSpot requires drivers to tap the app to alert other users that they’re leaving their parking space. This is also an option for Parko users. However, Neu-Ner says, it is not ideal because by the time the alert hits the cloud, the space will almost always be long gone. A very different approach is being taken by ParkSF in the San Francisco area, which involves sensors buried under the street that will alert drivers when a spot is being vacated in real time. Neu-Ner says there is talk in Tel Aviv about deploying something similar, although he believes the entirely crowd-sourced approach has more mileage, so to speak. After Parko’s October, 2012 launch in Tel Aviv, Neu-Ner has his eyes set on Paris and New York. Statistics for both those cities put the average time someone looks for a parking space at 40 minutes, nearly double Tel Aviv’s. There’s no database to be updated before a city is ready for Parko. It’s more a matter of promotion and marketing, something that’s been tough on a shoestring budget of money from friends and family. Parko’s recently fundraising from OurCrowd should help keep keep the parking brake off. The 30-year-old Neu-Ner grew up in South Africa with Israeli parents. He returned to Israel four years ago and worked as a product manager at a startup creating software for options trading on Wall Street. He has degrees in economics and math from the “old country” and, more recently, an MBA from Tel Aviv University. While Parko users stand to benefit when they search for a spot, we wondered what kind of incentive would entice users to leave the Parko app open once they found parking. Neu-Ner has a quick answer: prizes. For example, after you’ve just shared your 20th parking spot, you might get a free carwash from a Parko partner, or a coffee at a nearby Aroma. Regardless of prizes, Parko needs a critical mass of users to function effectively. Thousands of Tel Aviv residents already know about the app, in part due to Parko’s win of the top prize at the Google-sponsored Israeli Mobile Challenge competition in June, 2012.